CLUTCH FLUID YOU CAN BUY. 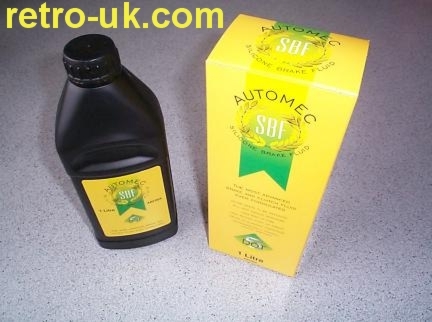 Because Automec's silicone Break Fluid repels moisture, unlike standard polyglycol brake fluid, it never needs changing. is maintained throughout the life of the product, ensuring consistent, long term, safe performance. and has been standard issue in US Military vehicles for over 15 years. So maybe it's time that you put Automec Silicone Brake Fluid in your braking system. It will save you money, and it could save your life.